I was excited when I found out about this film. First, Viggo Mortensen and Mahershala Ali are both amazingly gifted actors. Second, the story sounded incredible. Not only were my hopes completely realized but this is the best movie I’ve seen this year. It was masterful, the director Peter Farrelly bringing the best from his performers with incredible acting and storytelling. 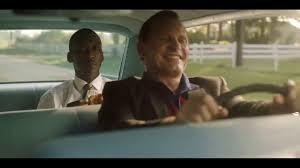 The movie “Green Book” uses the title as a reference to a travel book that was used to provide black people places they could stay while traveling in the south as most hotels were whites only until segregation was abolished. This book becomes an integral part of the movie as it tells the story of Dr. Donald Shirley (Mahershala Ali), a world famous pianist who goes on a tour that leads him into the deep South. In order to travel safely, he hires a driver, choosing Tony “Lip” Vallelonga (Viggo Mortensen), a fast talking strongman who works in the New York City clubs who needs a temporary job to support his wife, Dolores (Linda Cardellini) and two sons. The pair head out on the road. Tony is rough and used to New York City. Dr. Shirley is cultured and dignified. The two couldn’t be more different. In addition, Tony has many assumptions about black people, how they act, what music they listen to and food they eat. Dr. Shirley meets none of those expectations. Dr. Shirley also has rules that he wishes Tony to follow, including how to talk and how he should treat others. This causes frustrations between them but as they travel across country, they slowly learn about the other. Dr. Shirley aids Tony with writing letters to Delores and Tony gets Don out of several difficulties on the road. Eventually, we see a transformation in both as they develop a friendship and in particular, in Tony as he learns to cast aside his prejudices and racial bias. This film has many reasons it excels. I fully expect it to win awards along with its actors. One of the biggest reasons for its success is the juxtaposition between Don Shirley and Tony Lip, both in their characters and in their positions. Don has a career, is highly respected while Tony is a working class man. Yet, despite Don’s education and abilities, he is still treated like a dancing monkey by the white people that surround him. Even when he is brought to perform, he still is told to mind his place. If he reacts, it will only make the situation worse. And because he is educated, he doesn’t fit in with his own people, is lonely with joy showing only when he performs. Yet, he is willing to sacrifice his pride to attempt to create a better situation for others like him. By performing, he hopes to change the way African-Americans are treated. It is a small step, with little reward but movie demonstrates that even small steps can lead to change, even if the change isn’t where you expect. Another demonstration of that unexpected change is in the transformation of Tony Lip. He begins as a fairly typical Italian American man working in New York City. The film shows his bias early on when two black men work on his kitchen and his wife serves them lemonade. Tony attempts to throw the glasses out because he finds it distasteful. 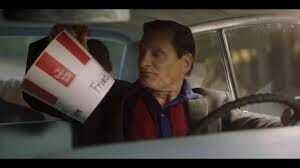 He is willing to drive Don Shirley but isn’t willing to work as a servant, shining his shoes or anything like that. He expects Dr. Shirley to like modern music by Aretha Franklin and others like her because they’re black and he figures Don will like fried chicken. He unwittingly introduces Don to new things but Don also challenges his assumptions and beliefs, including his anger over the police pulling them over. Don points out that Tony is only angry because the police compare Tony to a black man and Don is correct. Tony grows, though, Don helping him to write letters to his wife while Tony protects Don and eventually stands with him against injustice. Tony’s willingness to change and learn shows that every white person can and should listen to their black neighbors, understand that we do have a privilege even if we fail to see it, for we will never be inflicted with the level of injustice as people of color but we can learn to listen, we can learn to treat those around us with respect and we can check our assumptions at the door. Beyond the lessons the movie conveys, it is truly the acting and the chemistry between the actors that makes this such a masterpiece. Mahershala Ali uses every ounce of his body to emote, even tiny gestures setting a mood or enhancing our understanding of the character, using his expressive face and his whole body. His ability to show subtle emotions is what makes the character compelling and adds to the dynamic between the pair of actors. He portrays Don Shirley with dignity, haunting elegance and passion. Viggo Mortensen is deft as Tony Lip, allowing the viewer to empathize with the character even when he makes questionable decisions or struggles with his assumptions. Viggo is charming, full of humor and is believable as a New York City Italian working class man. The pair, even when they vie back and forth, are engaging and play off each other well. The interactions between them are the driving force of the film and despite the subject matter, brings laughter and humor to the movie. It is not just the main characters that excel. 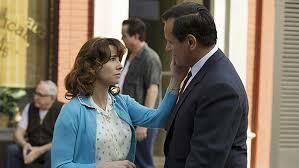 Linda Cardellini is sweet and kind as Dolores Vallelonga, having equal chemistry with Viggo. They are believable as a married couple and she enhances the film by adding insight into Tony’s life. The other characters are equally well acted, each three dimensional and real. Iqbal Theba plays Amit, Don Shirley’s assistant. He adds humor as he disapproves of Tony. Tony’s family are hilarious, with their advice, good and bad for Tony as he sets out on his job and the musicians that play with Don add to the story, providing details to his character’s choices. There are no bad elements to the movie. The pacing is excellent, driven by the tension between the two men and their interactions with the different situations they find themselves in, amongst people both openly and subtly racist. The darker moments are leavened with humour, such as Tony teaching Don to eat fried chicken or when Don makes Tony return a green stone he took from a roadside shop. It is especially dynamic when Don helps Tony write to his wife and when the movie is not focused on them, we get snippets of Dolores reading Tony’s letters to her family, adding to the laughter but also the beauty of the film. The movie tackles the heavier themes of racism and bias with grace and charm, but teaching the viewer that it is possible to change and possible to learn from each other. Even the music is compelling, making me want to locate Dr. Don Shirley’s music and listen to his compositions. The film is a masterpiece and one of the finest films I’ve watched this year so far. 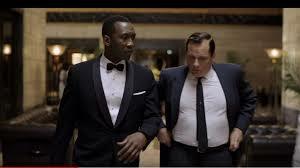 The virtuoso performance of Mahershala Ali combined with the transformation of both Tony’s character and the relationship between the two is worth watching multiple times. The juxtaposition of the pair’s roles Ala Driving Miss Daisy inform on the racism and casual hatred in the South as the film illustrates the way black people were and are still treated, in the South and across the country. There are subtleties to the movie that I will probably need to see again to fully grasp but if you like any of the actors, if you like movies with engaging characters and you love music, this is the perfect movie to visit. It has humor, pathos, friendship and might even bring you to tears. I highly recommend it.